When passing through the Upper Town, you will surely be drawn to the beauty of every building in the Opaticka Street. At number 10 you will find an old palace with Golden Hall and its spectacular interior. When entering the building itself (you will recognize it by its beautiful iron fence, a true masterpiece), you will get an idea of this breathtaking place that you are about to step into. 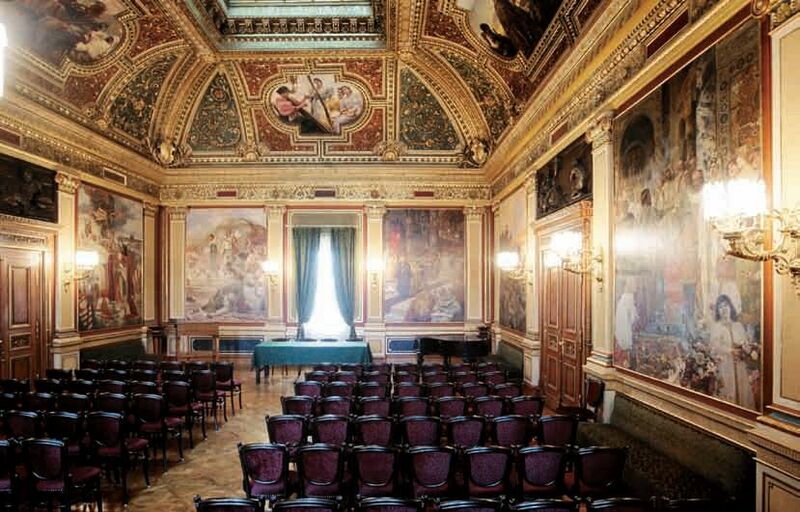 This is a neo-baroque hall with frescoes and sculptures by the most famous Croatian artists of the time. It is for this reason that some call it an eternal gallery of Croatian painting. The Golden Hall is the right place for organizing exclusive meetings, banquets or cocktail parties. INSIDE VENUE: The Golden Hall is the right place for organizing exclusive meetings, banquets or cocktail parties.